Easy to use, even for the novice, the Mosaic Essential Kit teaches the skills required for creating beautiful, unique, professional-quality pieces of art. 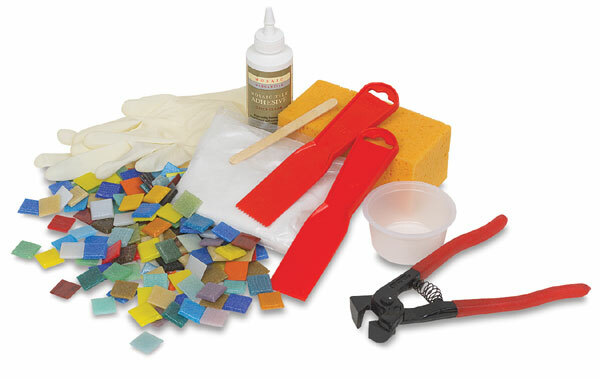 The kit provides the tiles and tools needed, you provide the substrate. Mosaic designs can enhance wood frames, boxes, trays, scrapbook covers and more.